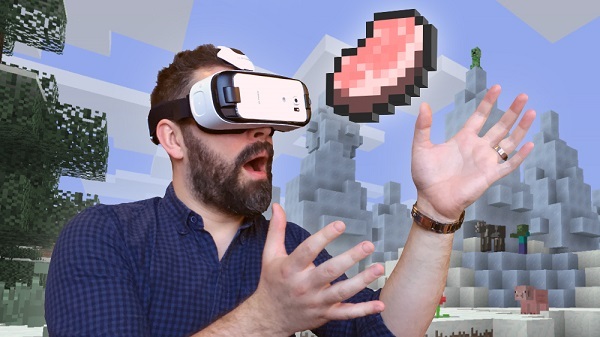 Minecraft now available on Samsung Gear VR. Get your goggles ready! You can now play Minecraft on Gear VR-compatible Samsung phones - the Galaxy S7 or S7 edge, Note5, S6 and S6 edge. It works by slotting your Samsung phone into the Gear VR headset and displaying one whole Minecraft world to each of your eyes!